Long before Grammy-award winning artist The Weeknd donated $50,000 to help launch Ethiopian studies at the University of Toronto, Michael Gervers was busy exploring, preserving and promoting a largely unknown ancient culture. 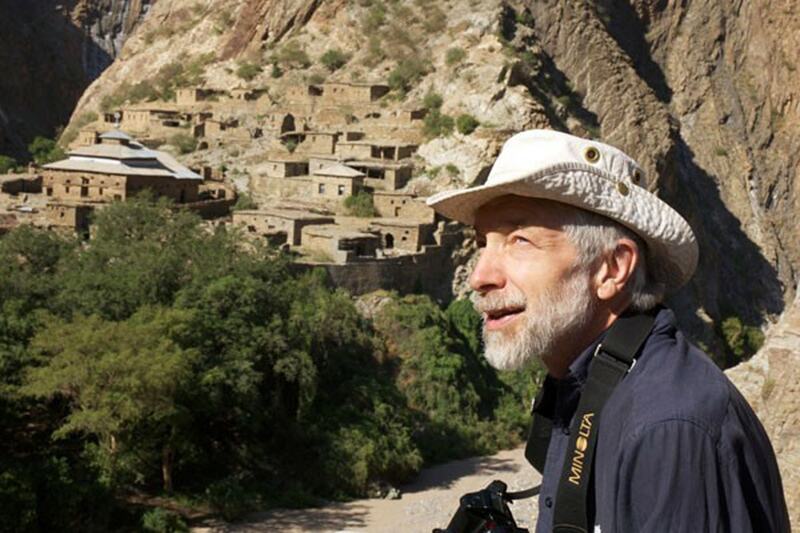 A professor in the department of history, Gervers has swung from ropes to get into rock-cut monasteries in Ethiopia. He’s created a database of tens of thousands of photographs– mostly his own – of Ethiopian art and culture. And for decades, he’s taught one of only a handful of classes in Ethiopian culture and history in North America. At a local event honouring him for his work on Ethiopian culture 11 months ago, Gervers came up with a novel concept. He called on the Ethiopian community to raise money for Ethiopian studies at U of T and announced he’d kickstart the cause by matching their donation up to $50,000. Since then, the Ethiopian community group, named the Bikila Award organization after Olympian Abebe Bikila, has been raising funds in earnest. The Faculty of Arts and Science has contributed $50,000. With The Weeknd’s gift, U of T’s department of Near and Middle Eastern civilizations has reached about $170,000 of its $200,000 goal in endowment funds to start a course in Ge’ez, the liturgical language of Ethiopia, in spring 2017. Department chair Professor Tim Harrison says he hopes that, with continued support, U of T will eventually add more courses and be positioned to launch the first Ethiopian studies program in North America. Like Latin, Ge’ez is now only used in religious services, in this case for the Ethiopian Orthodox and Catholic Churches. It would be a foundational language for Ethiopian studies, cross-listed with the Centre for Medieval Studies, allowing students in other programs to compare it to other Semitic languages. "Michael Gervers started out as a historian of medieval England, but has developed into one of the most important scholars in the world today working on the history and culture of medieval Ethiopia," said Professor Suzanne Conklin Akbari, director of the Centre for Medieval Studies. "His initial gift – and, even more, his posing of a fundraising challenge to the Bikila Award and the wider Ethiopian community – was transformative. It created a dynamic partnership that brings together the diasporic Ethiopian community with university partners in medieval studies and Near and Middle Eastern civilizations, exploring how we can work together to allow students – both undergraduate and graduate – to delve more deeply into the history of East Africa, and to understand the contributions of the peoples of Ethiopia to the world we inhabit today." Gervers fell into Ethiopian studies almost by accident. A graduate of U of T, he has been researching and teaching medieval history and art history at the university for 40 years. It was his fascination with rock-cut architecture that led him to France, Turkey, Italy and eventually Ethiopia for the first time in 1982. Since 2000, he’s been leading international expeditions to Ethiopia annually. Part of the draw for him has been exploring an ancient culture that pretty much remains intact. Modern-day northern Ethiopia and Eritrea were the seat of The Kingdom of Aksum, a major naval and trading power from the first to the seventh centuries AD. One of the world’s first Christian kingdoms, it was a contemporary of Greek and Roman civilizations, controlling many of the trade routes between sub-Saharan Africa and the Mediterranean world. Religious writings from 2000 years ago, long since disappeared from the modern world may still exist in Ethiopia translated centuries ago by monks there, but still undiscovered in old monasteries. Part of the reason why few researchers delved into Ethiopia is because, unlike much of Africa which faced colonization by Europeans, Ethiopia did not. That meant most scholars were unable to use their native tongues to conduct research and very few, if any, institutions offered Ge’ez. In addition to pushing for Ge’ez to be taught at the university level, Gervers has also been working with U of T Scarborough on a library project to make the entire manuscript collection of the 15th century Ethiopian monastery at Gunda Gunde available online, a total of 35,000 pages of Ge’ez text. Concerned that Ethiopian manuscripts were under threat after the government seized all church lands, Gervers began digitizing them. His online database (login and password: student) of Ethiopian art and culture now contains 65,000 images. Thanks to a significant grant from the Arcadia Fund, he is also documenting through video interviews with craftsmen, monks and parishioners how Ethiopia’s rock-cut churches (see below), which are carved out of stone – 20 metres2 underground, 6 m high – are created. For much of the world, it’s a lost art. So far, he’s gathered 40 hours of video recordings, and now is seeking help from the Ethiopian community to transcribe and translate the video interviews, which will then be made available online. Gervers said The Weeknd’s gift has helped shine a light on the study of ancient Ethiopian culture. For now, he’s just looking forward to seeing Ge’ez offered at U of T.
“I’m one of the first people who’s going to sign up,” he said.